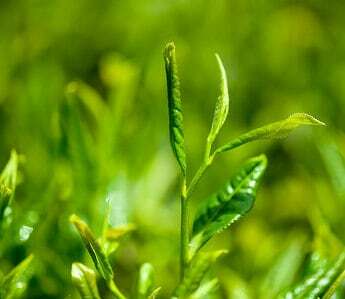 In recent times, Green tea seems to be gaining more recognition than the black tea. This rising popularity can be attributed to the effectiveness and its endless list of benefits associated with the powerful herb. Now, the big question is "What is the difference between the green tea and its black counterpart?" ​Why should I choose Green Tea over the Black? Whereas users of black tea may find the green tea less aromatic and tasty, a lot of people still prefer green for some reasons. During the process of extracting green tea, special techniques are used to prevent fermentation of the fresh leaves. This helps to retain vital antioxidants which help fight against different diseases as well as aging and fortifies the immune system. Also, since the leaves are not fermented, high levels of alkaloids produced in the process are lost. The low-caffeine content of green tea (compared to black tea) reduces the stimulating effect which could cause long term side effects. Over the years, Green Tea has been gaining wide-spread popularity and usage globally. Scientists have continued to do research on its benefits. Of all the benefits discovered from various studies, it has been proven that green tea is an effective therapy for Rosacea-infected skin. Have you ever tried out green tea for your skin concerns? Just so you know, Rosacea is a skin infection which affects the face. However, there are some cases where it also affects the eyes. People between the ages of 30 and 60. Since everyone is prone to this disease, you would want to watch out for those signs and symptoms so that you find out about any reactive measure(s) you can take when they are noticed on your skin. Facial inflammation; especially on the cheeks, chin, nose, and forehead. Apparent red lines under the skin. Currently, there is no known cause of rosacea although some medical experts claim Rosacea occurs as a result of the expansion of blood vessels, causing facial inflammation. While there is no known cure for Rosacea, it can be effectively managed and treated with some basic health practices. Drink enough water to keep the skin always hydrated. Cut down on stressful activities – get enough sleep. Reduce your intake of spicy foods and alcohol. How Does Green Tea Treat Rosacea? In recent times, green tea has gained massive popularity for its powerful properties and therapeutic benefits. Green tea extracts contain an anti-aging compound which is also a great remedy for acne. Hence, it is also logical to think that this will be highly effective in the treatment of Rosacea. From Where Did this “Claim” Originate? A research presented at New Orleans' American Academy of Dermatology and undertaken by scientists from University of California sought to discover the potential effects of green tea on Rosacea plagued skin. 60 women of ages between 25 and 50 were sampled; all with apparent signs of rosacea on their faces as well as pimples and reddish facial skin. The photographs were taken before and a week after the treatment. This was to enable the researchers make direct comparison and check for significant changes before and after the treatment. Out of the 60 women cited, 30 were treated with a cream made of green tea extract while the remaining 30 had a placebo cream therapy. All the participants used the face cream twice daily for four weeks. After four weeks, there were changes in both groups. However, more remarkable effects were evident in the group which used the cream made from green tea extract. Women who got the green tea extract therapy for Rosacea recorded a 70% improvement, compared to their placebo counterparts. It is also noteworthy that green tea comes with several other therapeutic benefits and could be a remedy to a wide variety of health concerns.